As we start the New Year, many people are starting off with working on their goals for the year. 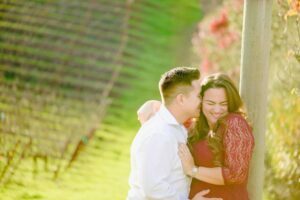 If you are planning on getting married this year we have some new trends that will make your big day the most memorable and capture your visions to make this day special for you. If you are looking to spice up the typical black and white, a lot of couples are turning towards a navy or midnight blue. It looks very formal on engraved invitations and elegant as the color for the bridesmaid dresses. Of course this is an alternative if you are interested in having a little change in the traditional formal black and white. If you are interested in the Pantone color, 2018 has named violet as the color of the year which you can incorporate into your wedding as well. We have seen a lot of gold and silver metallic colors infused in the décor for weddings but a new popular color mix is brass and rose gold. A lot of couples for 2018 are bringing some chrome into the mix as well. This year there is a strong presence of extremely elegant weddings. Couples are going towards cleaner florals, the classic tuxedos and just a hint of sparkle. Couples are still adding their personality and their own twist while keeping it formal. 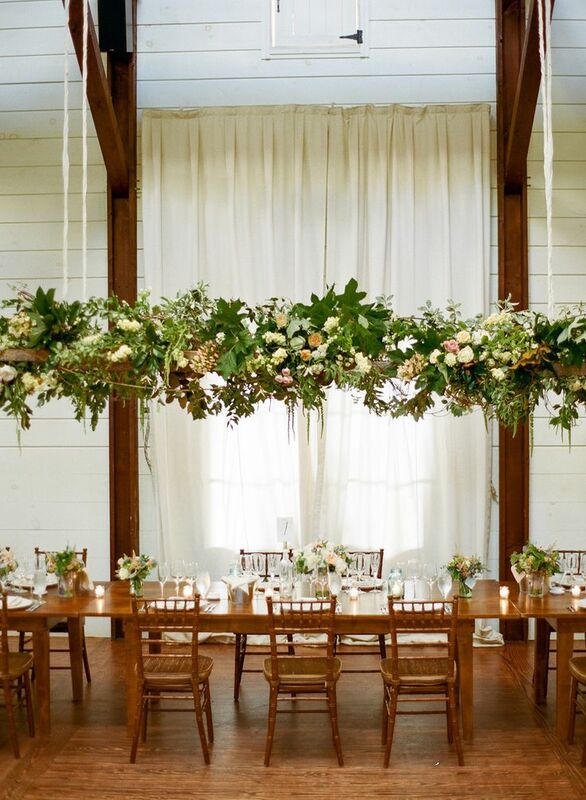 Flowers suspended from the ceiling are the new thing for 2018. Not only is it innovative and extremely interesting, this also gives the chance to have the guest tables more simple and focus on the ceiling treatment. This also gives more room for guest to eat and mingle at the table. 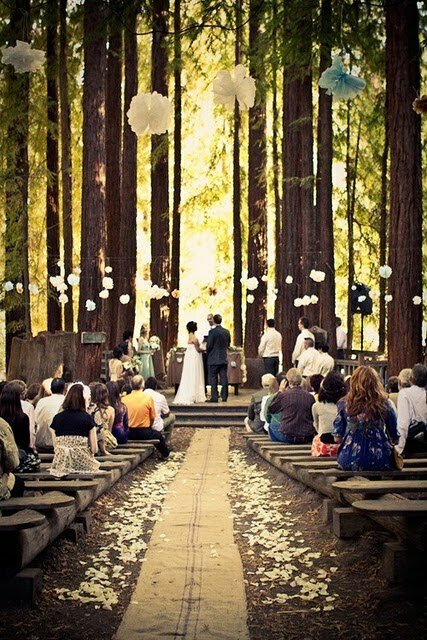 Weddings are becoming more about the guest experience during the time they arrive to when they depart. Adding different textures and colors will get your guest attention and be something that they notice when they are entering the room. Always making sure the never take the attention away from the happy couple of course. 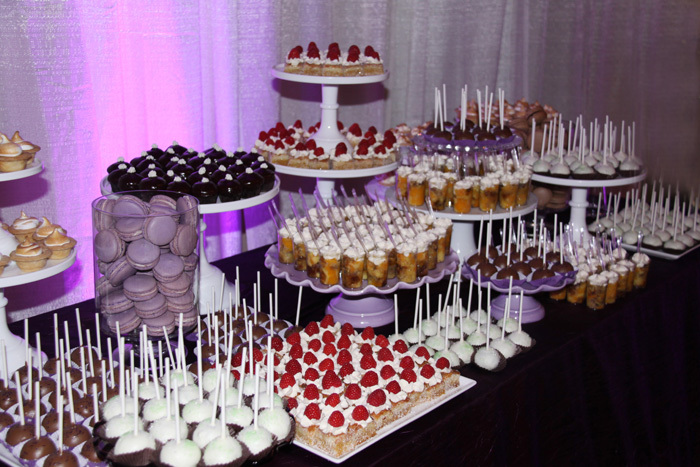 Having creative desserts for guest to take at the end of the night, sometimes even a dessert table is a great idea! This doesn’t mean the cake is going away; this tradition is actually coming back in 2018 with a cake cutting ceremony. A lot of couples want that beautiful picture, and who doesn’t love cake? In 2018, brides looking for a rustic wedding are turning away from the barn look and going woodsier. This is a lot of greenery and wood instead of burlap. This also gives you more range as well because you can work with wood in multiple aspects, like the signage and tables, of the wedding and the greenery and woods looks beautiful with a bunch of flowers. 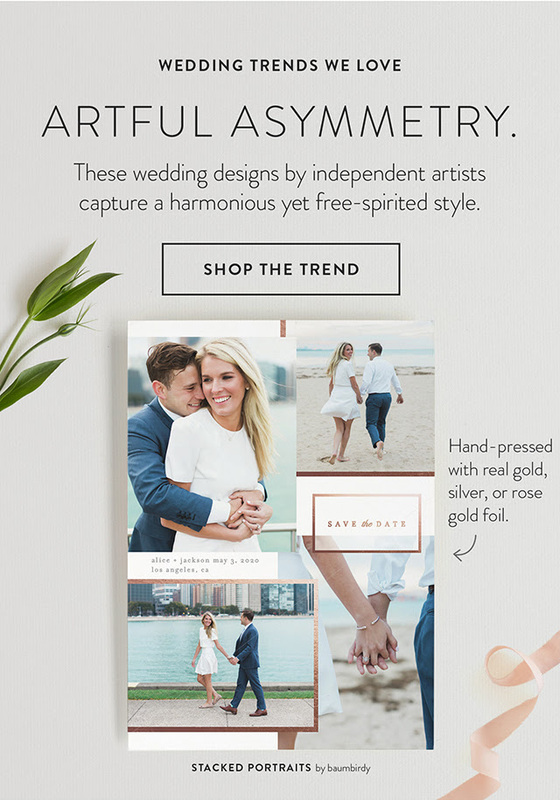 Couples are turning to more harmonious and free-styled stationary for their wedding. They are called Asymmetrical Invitations which includes different color schemes and shapes that can be incorporated into your invitations. Designs that will be memorable for your guest you’re inviting, just make sure it’s easily recognizable and readable for your guest when the receive it. 2018 is going to be a great year filled with love and prosperity. I hope that these trends help with the decisions you make for your wedding. Not every trend needs to be included in your wedding but maybe you found something new that you would like to incorporate and but your own personality into when planning your big day.